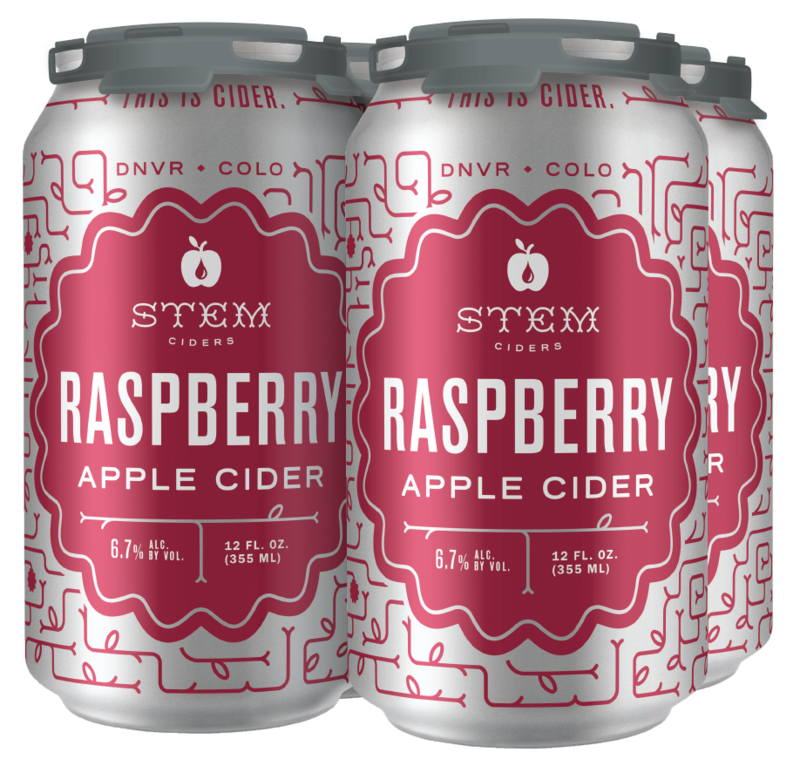 Stem Ciders is an urban cidery located in the heart of Denver’s RiNo District. 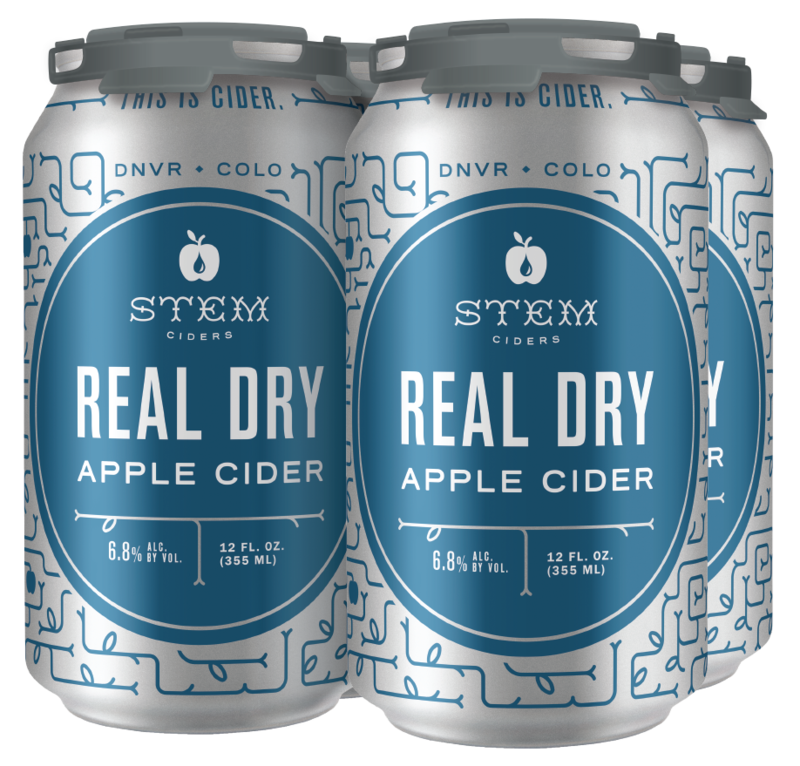 Founded in 2013 by Eric Foster and Phil Kao, two passionate entrepreneurs with a deep appreciation for craft, and a strong commitment to reviving the cider tradition, Stem produces cider founded on three main principles: quality, style, and tradition. 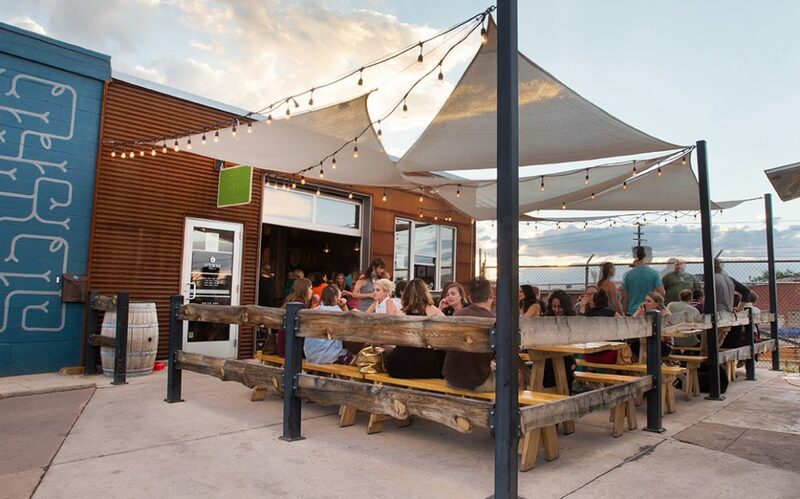 We opened our RiNo cider house doors in January of 2014 with three ciders on tap and a mission to share with you the cider traditions we grew up with, and that we know and love. From the first batch of cider produced in 2011 – now known as Malice, to our seasonal ciders and weekly Firkin experiments, we’re committed to producing the highest quality cider that brings those traditions to the forefront. The measure of a good cider is in each of its parts. It starts with quality ingredients, and the fewer the ingredients, the closer we are to the apple. We use fresh pressed full juice from whole, ripe fruit. We promise to create craft ciders that showcase the individual qualities of the fruit available here in the U.S.: from the Michigan apples that are at the heart of L’Acier and Le Chêne to the crab apples from the Western Slope that put the pucker in our Crabby Neighbor. 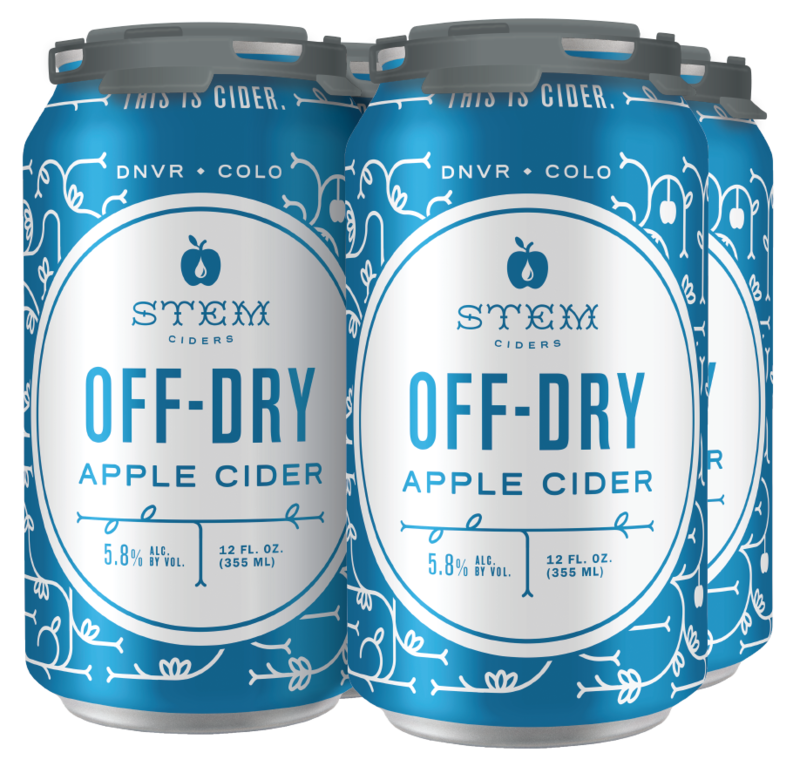 From our first batch, made with Colorado apples, we’ve been committed to working in close collaboration with growers in our local communities and across the country in ways that are sustainable for our industry and environment and to promote the recultivation of heirloom cider apples. Yeah, it’s dry. Drink it already. Simply put, dry ciders are the ciders we love to drink. But the story goes much deeper. We’re always evolving, experimenting, succeeding and sometimes faltering. Just a fraction of what we do makes it to the public, and even less makes it into your can or bottle. We push the boundaries of cider just as much as we are connected to cider traditions. The culinary apples we source from Colorado, Michigan, and the Pacific Northwest, when treated with care, help make our ciders cleaner, brighter and fresher. We embrace the dry, and wouldn’t have it any other way. We are dedicated to reviving the cider tradition. At the root of our ambition, we’re working to bring you, our customers and friends, into the world of cider. 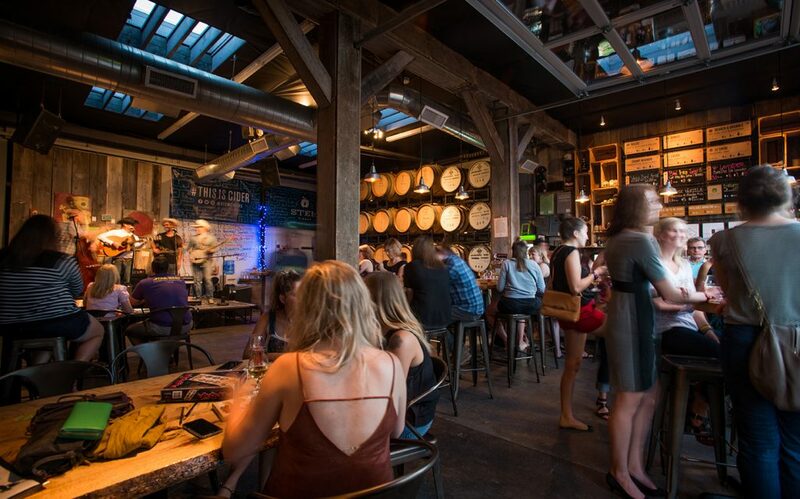 Cider is a convivial drink with a culture of community and sharing that we cherish. From the trees in the ground to the cider in your glass, it’s our mission to share these traditions with you. Cheers! Born and raised in Michigan, Eric’s love for cider began as a teenager working at the local cider mill in his hometown of Northville. 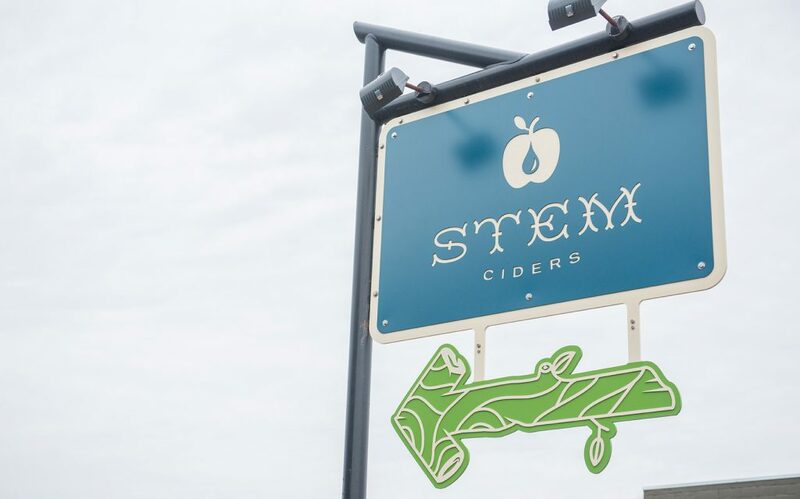 It was here that his cider making prowess developed as he learned the fundamentals of the operation: pressing, packaging, juice varieties, hard cider and apple wine production, that would later become the foundation of Stem. An avid skier and outdoorsman, Eric moved to Colorado in 2000 to earn a degree in Watershed Science from Colorado State University and pursue a career in the outdoor industry. 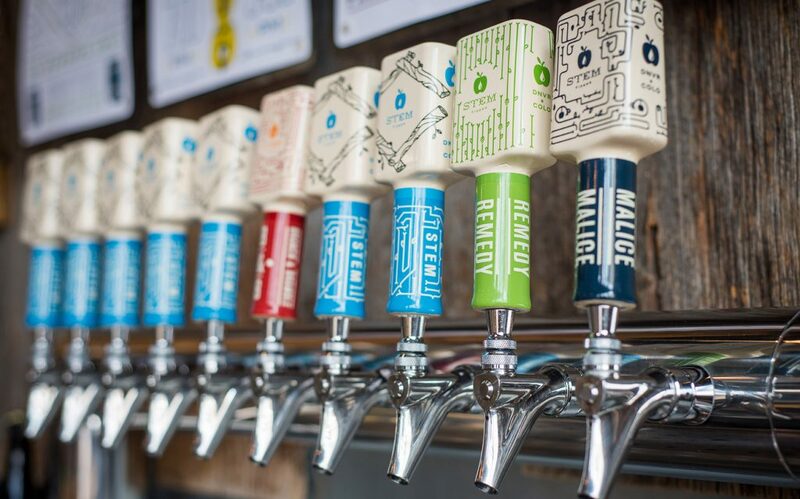 While keeping his love for fermentation and homebrewing at the forefront, Eric’s career in marketing and business development at Fortune 500 companies was made successful with his entrepreneurial drive and strong leadership skills. 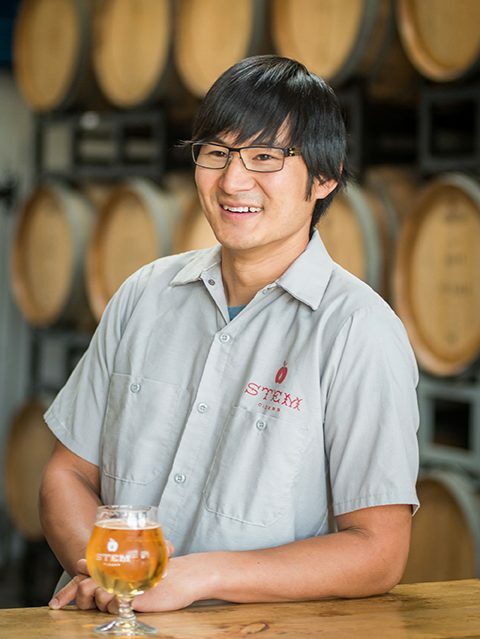 In 2011, Eric reignited his fermentation talents when he and fellow co-founder, Phil, produced the first batch of Stem Cider (now known as Malice) in his home cidery. As CEO and “Lifter of Heavy Things”, you’ll find Eric working closely on all facets of the business: creating sales and marketing initiatives, nurturing relationships with growers and industry friends, sourcing only the finest ingredients, building the very best team, and sharing the good cider word. When he’s not at Stem, he’s enjoying family time, fly fishing, or out skiing the backcountry. More than anything, he appreciates how much he loves coming to work at the cider house every day. Eric lives in Broomfield with his wife, Colleen, and their son, Quinn. Together, they are moving towards living their dream of owning an orchard and bison ranch. 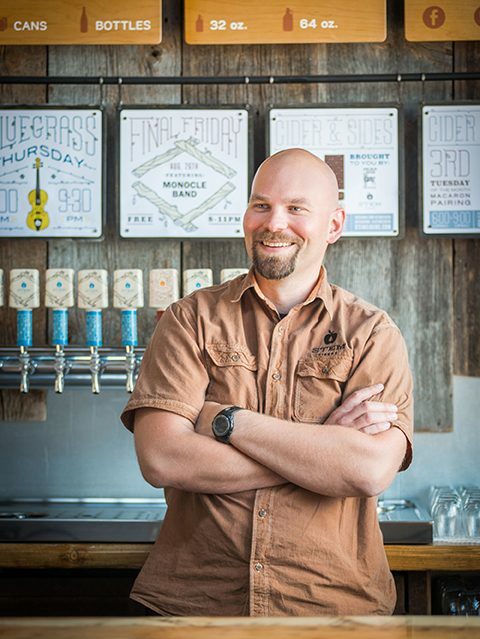 Having grown up a few miles down the road from the oldest cider mill in Michigan, Phil moved to Denver in 2005 and earned his Ph.D. in Mechanical Engineering from The University of Colorado in 2011. 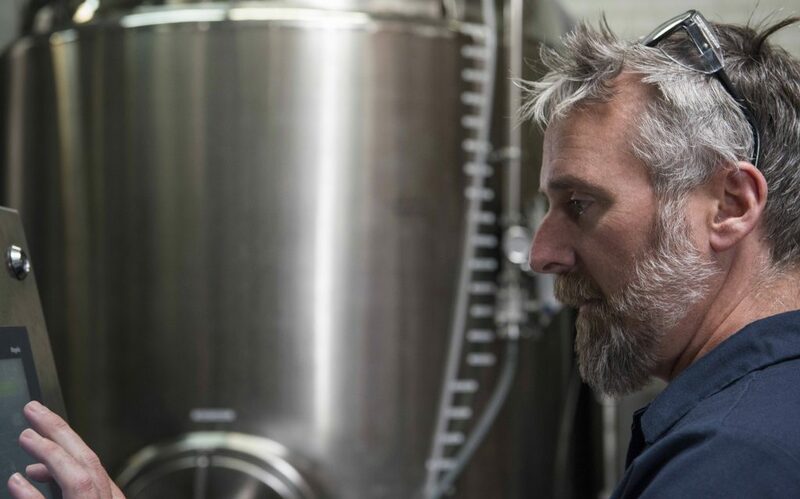 As the company’s founding Cidermaker in 2013, Phil’s expertise in biological and mechanical testing and engineering made for a natural transition to his current role as Head of Operations and Quality Control. On the daily, Phil leads the charge in cider house operations working in close collaboration with the production team to ensure the highest standards are met at every step of the cider making process. Whether he’s integrating new tanks, fine-tuning the performance of the canning line, or tweaking a recipe just slightly, it’s applying his skills for designing and refining systems and processes that he enjoys the most. A passionate cyclist and home cook, when he’s not running experiments in the cider lab, chances are good he’s out on his road bike, in the kitchen experimenting with new recipes, or savoring time at home in Denver with his family. How did you first become interested in cider and cider making? I became interested in cider and cider making when I was a brewer and I tasted traditional dry American apple cider for the first time. I loved the light effervescent flavor profile that, I soon learned, could be as diverse as the apple that particular cider was made from. Where the beer I was brewing was a balancing act between sweetness, bitterness, and other flavors, dry apple cider can be the ultimate expression of one particular apple. I had no idea so many flavors could come out of one apple. What is the most challenging aspect of the cider making process? I would say the most challenging aspect of the cider making process is educating people about what traditional hard apple cider actually tastes like. 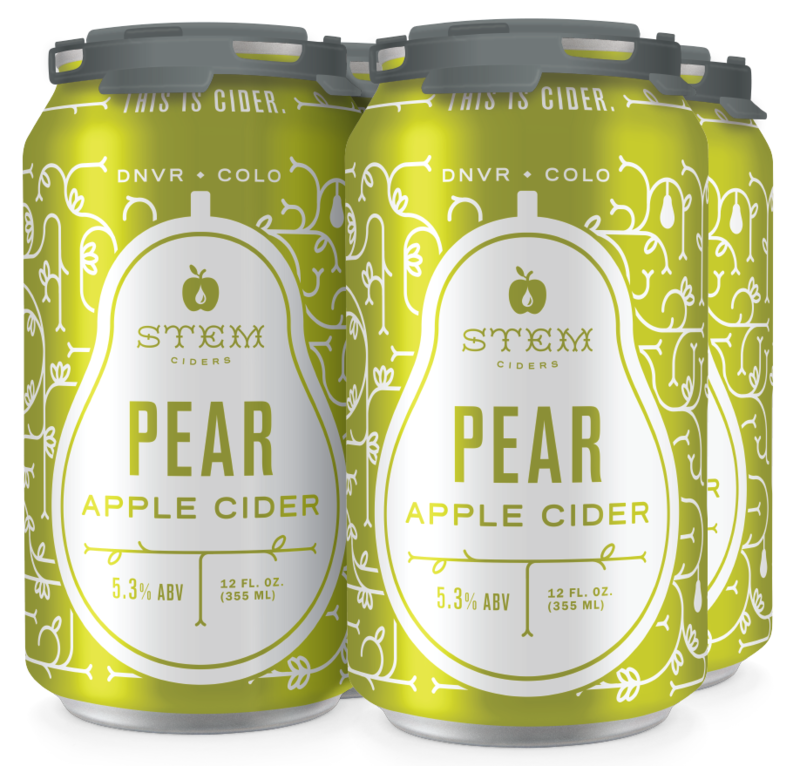 Mass produced ciders have made people associate hard cider with a very sweet artificial-apple-flavored drink. 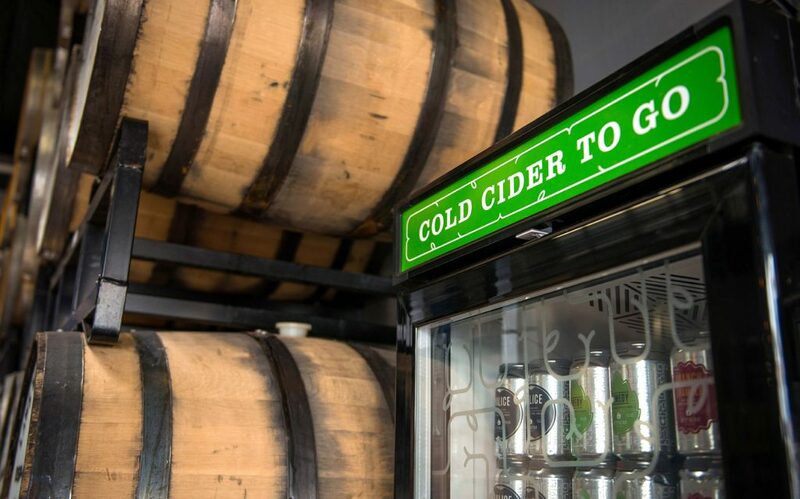 Our job as craft producers is to celebrate the tradition of cider and let people know there is a whole world of hard cider that doesn’t fit that description. Do you have a favorite apple variety to work with and why?